David Beckham. Jennifer Lopez. Simon Cowell. These are just some of the members in one of the most exclusive, star-studded organizations you can ever join - The Rolls Royce Phantom Owners Club. Fortunately, entry to this club is no longer reserved for the mega-rich, as you can buy one for nearly a half-million dollars off its original MSRP. Pass the Grey Poupon. 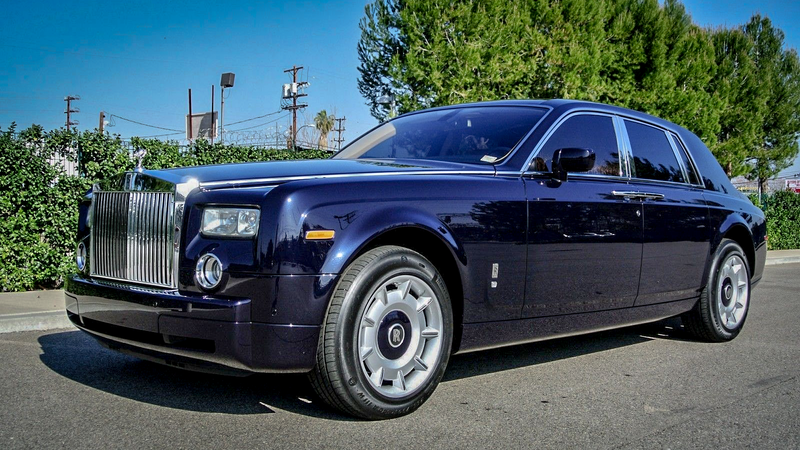 This 2004 Rolls Royce Phantom has an engine, and a transmission. It has wheels, pedals, and lights. It's just like any other car you've driven, except it isn't. It's a hand-made behemoth of a car, with a body count measures in cows and trees. It's the national pride parade of opulence and status. No one gets a Phantom because they want to be low-key, although the car is quite understated. It's the point where you stop living a good life and start living the good life. A decade ago, this car was worth more than a half-million dollars, with options. Now, that price has dropped to the point where any successful business owner can take a stab at owning this amazing divorce machine lifestyle choice. 1 owner car since new, bought new and serviced at Rolls Royce of Beverly Hills from day one! Very clean through out. Comes with both umbrellas, sheepskin floor mats, optional rear foot rests, Navigation, tinted windows, companion mirrors, rear picnic tables, heated front and rear seats, Oak wood veneers, two keys, manual books and so much more. Well kept and it shows, clean car-fax history. Just serviced and has brand new front shocks! This is an incredible car for the money, no drama no stories! As far as repairs and maintenance, they're expensive, but when you factor them into anything else in this price range, servicing this car is quite straightforward and reasonable, since the underpinnings are mainly BMW, with none of the bespoke, archaic British steampunk nonsense that plagued the older generations. It's a great addition to anyone's growing garage, granted you have a driver, because you wouldn't be caught dead in the front seat.